Naske, Claus-M. Bob Bartlett and the Alaska Mental Health Act. Pacific Northwest Quarterly 71 (January 1980): 31-39. ___. Edward Lewis Bob Bartlett of Alaska: A Life in Politics. Fairbanks: University of Alaska Press, 1979. U.S. Congress. 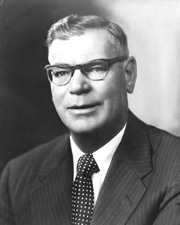 Memorial Services, Held in the Senate and House of Representatives of the United States, Together with Remarks Presented in Eulogy of Edward Lewis Bartlett, Late a Delegate from the Territory of Alaska and a Senator from Alaska. 91st Cong., 1st sess., 1969. Washington: Government Printing Office, 1969.